#60 – Spotlighting An Innovative Solution to Cloud Risk, Complexity, and Cost. For this episode of the podcast leading up to Microsoft Inspire, I spotlight a Microsoft partner introducing and showcasing their new innovative solution at the event. My guest for this episode of the podcast is Vadim Vladimirskiy. Vadim is the CEO and Founder of Nerdio. a Microsoft partner with a long tradition in delivering value-added managed services that have developed an innovative platform that reduces the risk, complexity, and cost for service providers delivering cloud services. In this episode, Vadim and I discuss his experiences and insights as a managed service provider, the best practices his organization brings to this new innovative product offering, why other Microsoft partners should work with Nerdio and where partners can meet he and the team at Microsoft Inspire, July 15th to the 19th in Las Vegas Nevada. And if you are coming to Inspire, please join me in the Commons Theater on Wednesday, July 18th at 2:30 for a special session where I’ll share “What they don’t teach working with Microsoft”. You can listen to the podcast or view the transcript here or on iTunes, SoundCloud, Stitcher, Google Play, Player FM, other Android podcast players. As with each of my interview and articles, I appreciate your feedback. You can reach out to me on Linked In, Twitter, Facebook and Instagram or on email at vincem@cloudwavepartners.com. 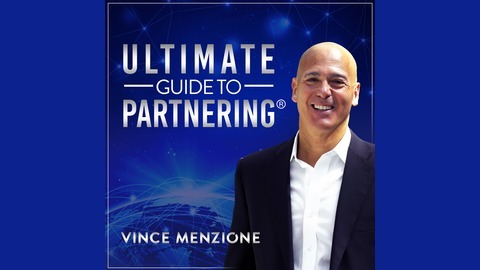 You can also review this podcast by going to iTunes and searching “Ultimate Guide to Partnering” and clicking on the album art and hitting the rating link. This helps others find the podcast. Vince: Vadim, welcome to the podcast. Vadim: Thanks. It’s great to be here. 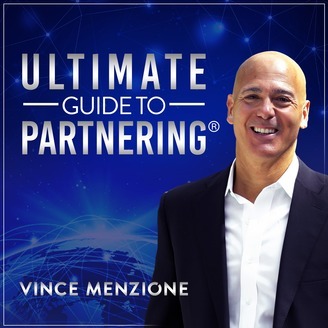 Vince: I’m excited to have you as a guest on Ultimate Guide to Partnering. You and I have gotten to know each other pretty well over the last several months working on your Go-to-Market plan with Microsoft. I’m glad you could join today to discuss your company, its value proposition, and your personal and professional journey. So, welcome. Vadim: Thanks so much. I’m really glad to be here, and thanks for having me on. Vince: Can you begin by telling our listeners a little bit about Nerdio, and how you got started. Vadim: Absolutely. We started Nerdio back in 2005. Initially, we were an online backup company in the market that was pretty new back in those days and then quickly evolved into a managed services provider, an MSP, that was offering a very unique hosted IT type of a service. We were using cloud-type IT before cloud was The Cloud, so initially, we were offering services around RDS and remote desktop services, and terminal services, and then eventually transitioned to more of a VDI-type of technology, and have created a business that has hundreds of companies all around the world using our services. Vince: For our listeners who don’t know, how do you define MSP or managed service provider? Vadim: I guess the easiest way to think about it is an IT services company that takes care of either some or all of the IT needs of a particular organization. These IT needs typically include things like: monitoring of the IT system, fixing any problems as they arise, providing tech support to users, help desk, and providing consulting services, and things like that. Usually these services are provided as a month subscription by the MSP or the managed services provider. Vince: I’ve heard you talk about IT as a service. For our listeners, what is IT as a service? Can you explain that to us? Vadim: Sure, sure. The easiest way in my mind to think about IT as a services is as a superset of other as a service technology. Think about software as a service, or infrastructure as a service, or backup as a service. IT as a service is really something that combines them all together in a very cohesive way to create a complete IT environment that’s typically hosted in the cloud, and then managed by an MSP. If you think about a typical technology stack, IT technology stack at a typical organization, you sort of have these very common components that almost every system or every organization uses, right? At the core you have some technologies such as desktops, and servers, and productivity, and collaboration, such as Office 365. But then you also have things like security, backup, disaster recovery, those types of technologies that all go into making a good IT system that provides users what they need, and also protects the organizations’ data. Typically, what MSPs do, they take that technology stack and they layer their own services on top of those. Those can include monitoring, as I mentioned, maybe line of business, application support and development, maybe some virtual CIO, or IT strategy consulting services, help desk, those types of things. If you put that all into a package, and you offer it to an end-user organization as a complete sort of IT-in-a-box hosted in the cloud, when we talk about IT as a service that’s what we refer to. Vince: I’ve been chronically this amazing transformation. It’s been going on in all industries, and it seems to be happening fast, but a lot of small organizations are struggling, and they’re not taking full advantage of the cloud, and the potential the cloud offers their business. Can you tell our listeners what Nerdio for Azure, NFA, as we also refer to it, what role it plays here? Vadim: Definitely. If you think about how small and mid-size organizations typically consume technology, and in IT in particular, is, they generally don’t go out there and have the internal resources and capacity to just buy it and build it themselves. They generally rely on someone like their service provider, like their MSP, or maybe their inside IT team to kind of guide them as to what the right solution for them is, and how to leverage the cloud. The challenge we’re seeing out there in the market is that a lot of MSPs have an established business model where they’re kind of monetizing an existing way of doing business by reselling hardware, or installing it, managing it, maintaining it, and providing all the services that go along with it. Then going into the cloud for them, because they’re the ones who are driving the end customers buying decision, is really a significant shift in their business model. They, in the process of trying to evolve and transform their business model, they run into various challenges in being able to leverage the cloud and being able to do that. Some of these challenges revolve around the perceived costs, or the perceived higher cost of offering the same managed IT services in the cloud, as compared to doing that on-premise like they’re used to. There’s also this perceived challenge around complexity. It’s both technical complexity of knowing all the new methodologies, and new technologies, and components of these clouds that are fairly robust and big, but it’s also the complexity of figuring out how to price this, and how to evolve their service offering to their customer, and being able to package everything together and provide it with enough margin to make sense for them to keep running their business that way. Then, also, there’s a significant amount of perceived business risk in a sense that, when you buy a piece of hardware, and you put it in someone’s office, or in the data center, you know exactly what you’ve spent, and now any income that results, any revenue that results from those services has a fixed cost associated with it. I think the combination, a various of those risks and challenges makes it difficult for many MSPs to leverage the cloud fully for providing IT services to their end customers who are the small and mid-size organizations. In a market that’s one of the limitations today. You’ve asked how does Nerdio for Azure help address some of these challenges. By being an MSP ourselves, and having had to evolve our business model to leverage the cloud, we’ve built a lot of technology internally for our own use to be able to be able to become … and overcome some of these. Vince: Vadim, how does Nerdio for Azure solve for this? Vadim: The way Nerdio for Azure solves a lot of these challenges … As I mentioned, we were an MSP to begin with, so we ran into a lot of these challenges when we had to evolve our business, and we’ve created this technology product initially for our internal consumption and internal use, but ultimately made it available to other MSPs out there, and NFA does. It not only provides the technology that addresses these challenges that I’ll describe in just a minute, but also a lot of the best practice know-how that we as an MSP have developed over the course of our years of being in this business, and we provide that to other MSPs who similarly want to have that shift in their business model. The way the product … the technology solves the problem is first and foremost, we help our MSP partners use the product to price and package a public cloud or Azure-based IT system in a predictable, per-user-per-month type of a pricing model, which overcomes a lot of that price risk associated with leveraging the cloud for their customers. What we also do is we help provision the system completely automatically, so you can go in and you can spin up a new customer account with just a couple of clicks, and within two hours have an entire IT system available and ready to go without involvement of any engineer. If you contrast that to doing that manually that’s maybe two to three weeks of full-time engineering or expanding up an IT environment in the cloud end-to-end. We also then offer a single pane of glass management portal that lets our partners manage their customers’ entire IT environment all in one place. They can manage everything from users, to desktops, to servers, and networking, and backup, and [inaudible 00:09:07], really all in one place, and making it very easy, and seamless, and all integrated together. Finally, to overcome the perceived cost associated with running an IT environment in the cloud, that seems to be more expensive to a lot of people, we’ve created a tremendous amount of optimization technologies that responds dynamically to the user demand on the IT system, and resizes it based on expected user demand to make sure that it’s efficiently sized, and is not costing the service provider more than it should, or more than their customer is really consuming. Really, the optimization is what makes it more affordable. Vince: You’re reducing the complexity, you’re reducing the risk, and you’re taking out or reducing the cost that most organizations are scared about or don’t know about, with regards to the cloud migration that we’re all seeing or talking about right now. Vadim: That’s exactly right. We’re trying and we’re doing that in a very streamlined, and simple, and kind of a … We have this three-click management philosophy in our product that everything is really nice, and simple, and clean to eliminate a lot of the complexity that you mentioned. Vince: One of the other topics I hear quite a bit about these days in all of my interviews is around the skills gap. It’s a topic that leaders from Microsoft are talking about, partners are talking about, right? Organizations struggle finding, hiring, retaining the talent necessary during this age of transformation. In this environment how does your solution help solve for that? Vadim: That’s definitely something we’re seeing quite a bit in the market. I mean, there’s very low unemployment overall, but specifically in technology, and specifically for MSPs and service providers finding and retaining top talent. Especially, talent that is familiar with Azure and those types of cloud technologies, and in that level it’s difficult to find and retain them. Even if they do have those people, they’re generally the busiest ones in the organization. What our product with NFA allows our MSP partners to do is leverage their lower-skilled, maybe tier one/tier two resources to do the types of things that would normally be left to their top-end engineers. They can go in and do pretty much everything needed from provisioning a new account, to onboarding and migrating an existing customer, or customer into Azure. Then managing that customer without really ever needing to get a top Azure engineer involved, unless there is some really complex and a non-standard requirement. By leveraging Nerdio for Azure, a typical MSP can reduce the skillset required to provide an Azure-based IT services to their customers from needing a high-end engineer to using lower-end resources. Vince: If I’m a Microsoft partner, particularly an MSP, why should I care, or why should I want to partner with Nerdio? Vadim: If you’re a Microsoft partner and you’re looking to build or grow your IT services practice, leveraging the Microsoft cloud, that would be obviously Azure and Office 365, what Nerdio allows you to do is eliminate a lot of those friction points, and a lot of those blockers in both selling the Azure-based solution, by allowing you to price it in a more consistent and simple way, and also eliminate a lot of the complexity and risk implementing and managing those environments. Once those environments are in Azure, there’s additional benefits that MSPs realize by using the product. They obviously can expand their contribution margin from, let’s say an end-user customer who may be buying only Office 365 from them and servicing only Office 365, to now providing an entire suite of IT services. Everything from, including Office 365, but maybe potential virtual desktops, a line of business servers, or backup in [inaudible 00:13:15] security, and all of the technologies we spoke about earlier that go into IT as a service deployment. Being able to provide it all under one roof, from one provider, using the trusted Microsoft cloud to an end customer results in higher prices, as far as per-user larger share of the wallet, but also higher margins. Typically, partners see margins anywhere between 40 and 60% with a typical customer of theirs. It also helps on the operation side, because we now have a lower cost of service delivery, because we have so much automation built into Nerdio for Azure, that many things that take typically a lot of time for an MSP to do on behalf of their customer, like adding new employees, or onboarding employees, or provisioning new servers and applications, things that take a long time and are fairly error-prone, can now be done completely automatically by tier one and two to help desk engineers, that eliminates all these mistakes and saves a lot of time. Then, from the customers’ standpoint it really helps MSPs with driving customer success, because they have this sticky relationship with their customer, because they’re providing an entire IT system to them, as opposed to point solutions from different vendors. Then, the end customers have a better user experience just from the fact that they’re in the cloud, they have everything available to them, no matter what device they’re on, they don’t have to worry about managing physical hardware and having [inaudible 00:14:48] that comes up every few years doing a refresh. There’s really a customer success story that MSPs are able to realize by using a product like Nerdio for Azure to build their IT services practice in the Microsoft cloud. Vince: Sounds like a great opportunity for MSPs, and we’re gonna talk about how to find you after, a little bit later in this podcast. I’m curious, why did you choose Azure as your platform of choice for your solution? Vadim: We’ve been in the Microsoft ecosystem for many years, from the time we started as an MSP, and most of our customers have always been very Microsoft-centric, Microsoft Exchange and SQL server, and RDS, those were some of the core technologies that we were using. Our DMA has always been, as a Microsoft partner, and then when we created the product and we were talking to other service providers, it really seemed like Azure was really the natural fit of where they wanted their customers’ data to live. Most of them already have adopted Office 365, and Dynamics, and other SaaS solutions from Microsoft, and Azure just seemed like the natural next step for putting all the remainder of the workloads, the line of business servers, and applications and desktops into the Microsoft cloud. It just seems to fit very well, knowing the ecosystem, and having worked with Microsoft for many years, we were very comfortable that really was the right choice for us to build our product for. Vince: I think I’ve heard the numbers, 120 million Office 365 users, that’s just startling to me that it’s that large at this point, the ecosystem. Vadim: It is quite amazing, the rate of adoption, and we’ve seen it firsthand, we’ve been in the exchange space for a long time. We’ve hosted exchange ourselves, and then, as Office 365 came on the scene, the rate of adoption has been really phenomenal. Vince: I’m gonna shift gears for a moment here. You might know I’m fascinated by the career journey, and, in particular, those who left their native land to come to the United States and to fulfill their dreams. I thought you could share with our listeners a little bit about your personal and professional journey, and how you got to this spot in your life and your career. Vadim: Sure. I’d be happy to do that. I am originally from Ukraine, from Kiev, to be specific. I grew up there. I spent a couple of years early on in Israel, and I think it was high school when I came to the U.S. I came to Chicago when I was in high school. Fortunately or unfortunately I did not speak any English at that time whatsoever. Vadim: Later … Yeah, I had a great experience there, certainly learned a lot about technology and engineering space. Then, later on I also went to Northwestern, to Kellogg to get my MBA, because I’ve always known that this is the kind of stuff that I wanted to be doing. I really always had lots of innovative ideas about technology, and computers, and business, and I wanted to kind of put it all together and put it to use. Vince: You were your own case study. Vadim: I was, I certainly was. Vince: Then you’ve been in business since 2005, is that what I heard you say? Vadim: I have. This company, Nerdio, has been in business since 2005. My professional background has been in IT. I’ve had a little IT consulting company while in high school, actually. I was going out to people’s houses and fixing computers and networking their … putting their home networks together. I’ve been in the IT space for a long time. Then in 2005 is when I decided to go out on my own and really launch something innovative, and cloud-based, again, without cloud being the model that was known back then yet. That’s really my background, I have been in technology IT support for many years prior to that. Vince: Very cool. We’re gonna both be at Microsoft Inspire in a not too short period of time here, and I know that you also are gonna be exhibiting at Inspire this year. Could you tell our listeners if they want to connect or meet-up with you at Inspire, how would they do so? Vadim: Definitely. I’m very much looking forward to Inspire next week. We’re gonna have a booth. We’re going to be at booth number 528, that’s 5-2-8. We’ll have a number of people on-site there who are gonna be ready to do demos of the product, talk about use cases, and just meet as many partners as we can, so we’re looking forward to meeting lots of partners at Inspire next week. We can also be found at getnerdio.com on the web, yep, so that’s how you can get in touch with us. Vince: Great, great. I’m looking forward to spending time with you, as well, Vadim. It’s gonna be an exciting week in Las Vegas, Nevada. Thank you for joining The Ultimate Guide to Partnering today. Vadim: Thanks for having me.